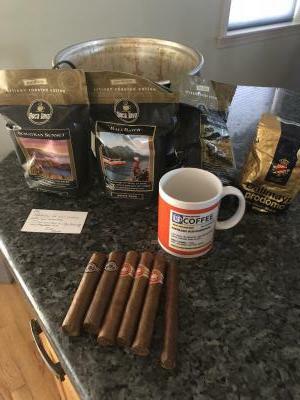 So Mr. Bill decided I needed some cubans, a new mug, and more coffee. Thoughtful gift from a thoughtful guy! Like he didn’t have enough going on recently..Thank You very much Friend. Coffee-because it’s cheaper than anger management. android, Desertlifter, Bloodwood87 and 4 others likes this. Espressobob, Pink Pony and Josh Lucky 13 like this. All times are GMT -5. The time now is 3:45 pm.